First Impressions: If visitors, and therefore potential customers, are not returning to your website, then it can tell you that they are not being hooked in by either your product or how you are presenting that product. If someone is only visiting your website once then perhaps they don’t know how to navigate your website to buy your service, perhaps the design is confusing, or maybe your sales pitch isn’t good enough, but whatever the reason, something is putting them off. In order to be successful, you have to find out what that something is and how to fix it. Repeat Business: How much of Apple’s income is made up of repeat business? I don’t think we need to look at the numbers to know that it’s a substantial amount. In fact, it’s probably the majority of their business; people buying into their brand and returning each year for new products. Regardless of whether you sell clothes or a service such as carpentry or a car wash facility, it really doesn’t matter – getting people to come back is what separates a successful business from one that goes bust. Therefore, if you are not getting visitors to come back to your website, you are severely hindering your ability build a reliable repeat business model. Again, it’s up to you to remedy this. Are you ready to learn how to increase your chances of repeat visits to your website? Excellent, I knew you would be! Simple & Accessible: If you do one thing with your website, make it easy to access and simple to understand. There are so many website designs out there that just complicate the issue. Sure, your brand new site might have all the bells and whistles that you wanted to have, you might think it looks lovely and stylish, but what’s the use if it’s not approachable or even usable? Keep the design, first and foremost, as simple as possible. Don’t cram all the content down your visitor’s throat. Spread it out, make it easy to navigate. If you are not just relying on website advertisements and want to sell a product or service, make sure that you inform your visitor as to exactly what the website is for, in a small short paragraph on the home page, this is your sales pitch. No matter how good your product, service, or content, if a visitor cannot easily navigate around your website then they will leave and never come back. There are so many websites out there which would be more worthwhile to your visitors, ones which are not difficult to understand or access. Keep this in mind at all times: Simple, simple, simple. Make it Sticky: Okay, so you’ve made your website accessible. Visitors can easily navigate around without any problems. But you have to make sure that there is something there to make them engage with your site, and then hopefully your product. This is what is called making a website “sticky”. It simply means giving a visitor a reason to stick around. The best way to do this is with aggregated content. Give them videos, give them things to read about, give them images to look at, show them that, not only is your website fun to move around, but that there are always bits of content to be found. What’s important here is that your content either entertains or it informs. Visitors have to feel that they are getting something out of being there, whether that leads to discount offers on products or not is entirely down to you, but you have to make sure that your site isn’t just empty. Secondly, make sure that there is more than enough content for them to come back to in the future. Even if your website is accessible and you have entertaining and informative content, visitors will still not come back if they think there is nothing left for them to enjoy. Fresh Content: As well as having great content, you need to have fresh content. A sure way to encourage visitors to come back to your website is through the promise of more content. 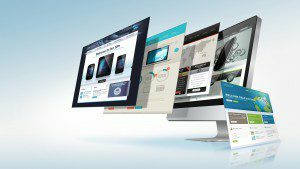 Your website needs to be dynamic, it needs to be constantly updated. This gives visitors a reason to come back and spend some time on your site. The content should be varied, and should have some connection to your product – but we’ll talk about that in a little bit below. What’s really important about putting fresh content up on your website is that it is done regularly, in fact if you can schedule your uploads so that new content is going up at the same time either each day or each week, then your visitors will know when to come back, and will not be presented with the same old website on a day you haven’t uploaded anything new. Think of fresh content as the lifeblood of your website, it’s what keeps things fresh, and more importantly keeps the interest of your audience/customer-base. Blog It: We keep talking about content. But of what content can we be talking about if what you sell, for example, is a physical product? One of the best pieces of content that you can have, and which can result in future sales, is a blog post. Through a blog you will be able to write short or long articles like this one, informing readers about an issue related to what you are selling. For example, let’s say that your business installs fitted kitchens. How can you attract people to your website and encourage them to come to your site time and time again, so that when they are ready to actually invest in a fitted kitchen, the choose your services? If you write blog posts about kitchen fitting, providing handy tips for customers to use in their homes, and informing them about considerations you need to have when thinking about what type of kitchen you want; then this type of content will encourage them to consider your business. It is related to what you sell, brings people to your website time and time again, and with updated new blog content, is a reason for people to keep coming back. Within your blog posts, make sure there are links specifically to the types of products and services you are supplying, so that someone who is interested can simply click on the link and have a see what you have to offer. Furthermore, a blog can encourage visitors to interact with your content via a comments section. This helps people engage with your website and your brand, and is best achieved by concluding each blog piece with a question for your readers to answer. 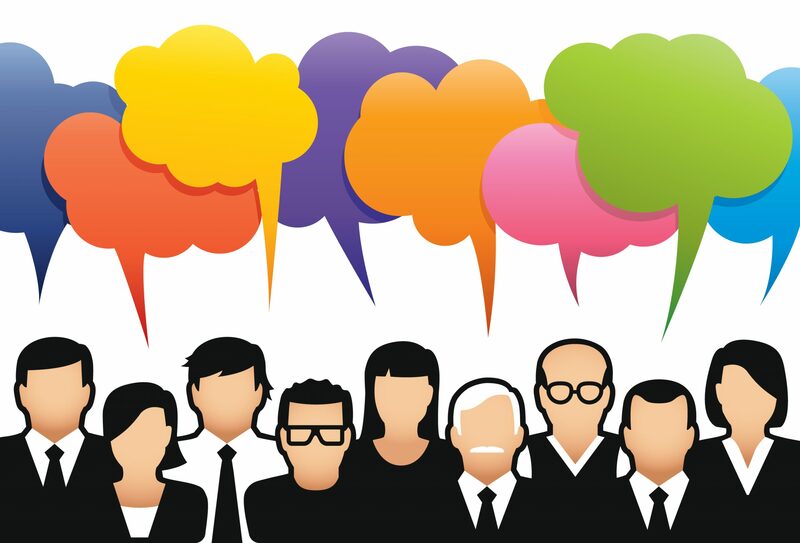 Forums: Reading your content is not enough, having customers engage with it, is. As mentioned above, blog posts are a great way to encourage visitors to participate in some way with your site. Another way, which can be more effective at times, is to have a community forum set up. This will be a place that people can hang out, they can talk about things that they want to talk about, but there will also be a section of the forum dedicated specifically to your products, any issues people have with your products or services, and where people can endorse and recommend what you do. What’s great about a forum is that it lets you build up a community around your brand, which promotes positive feelings of attachment from your customer base. It’s also a quick way for you to interact with your customers, and due to discussion posts, will get people returning to your site time and time again to update and take part in the discussions that they want. Advertising Balance: This is a short and simple one to follow, but still a really useful piece of advice. There is nothing worse than visiting a website and being bombarded with advertising. Even if advertising is your main source of revenue, you can put so many adverts on your website that the content you provide seems to be an afterthought, or is drowned out. This includes pop-up windows, and standard page advertising. Be strategic with your advert placement. Strike a balance between having enough on a page to gain a useful revenue, but not enough to put off visitors. This is all about first impressions remember, and a whole bunch of adverts plastered all over your website does not instil confidence in a visitor. Especially when most websites filled with adverts often try to install ad-ware on visitors’ computers. You do not want your potential customers thinking that’s the type of business that you run. Newsletter: By offering a mailing list on your website, you will be able to contact your users in a way which will entice them back to your site if they haven’t been there for a while. You will be able to do this by informing them about new content. For example, every time there is a new blog post or a new video uploaded to your site, an email could automatically go to everyone on your news list letting them know. Of course, RSS feeds can be used to do a similar thing, but what a well-designed email will do is provide links to all of your important information such as new product deals, social media pages, and discussion posts on your forum that may interest them. Email marketing is currently being underutilized by many people, however not everyone has a Facebook page, but everyone has an email account. That lets you know immediately the sheer number of people you could be contacting, enticing them back to engage with your content and your brand. Social Media: Facebook pages and Twitter accounts are now the foundation of many companies’ business models. 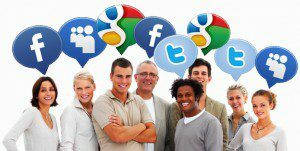 Social media cannot be overlooked. Millions of people have Twitter and Facebook accounts, and by having a Facebook page for example, each person who is engaged with your brand can like your page and then that can be used to connect with them, increasing your brand visibility. More importantly, your Facebook page can be used to encourage people back to your website in a similar fashion to the above email campaign. However, the beauty of Facebook is that your emails will never get lost in a spam folder, and that you can also pay a small amount to have posts about your content promoted onto people’s personal Facebook feeds. Twitter accounts can also be used to quickly answer questions that your customers may have, as well as sharing fun and informative links on a daily basis keeping your brand in your customers’ mind. Many of these links can lead back to your own website, increasing repeat business. Remember, there are a number of other social media outlets but it is advisable to establish yourself on Facebook and Twitter before proceeding to Pinterest, Tumblr and any other social media platform. There’s a reason why Facebook and Twitter are so popular: They’re easy to use and they work! Incentives. Incentives: Give your customers a nudge in the right direction. By advertising discounts and special, limited offers, your customers will be far more likely to return to your website to see if they can snag a bargain. 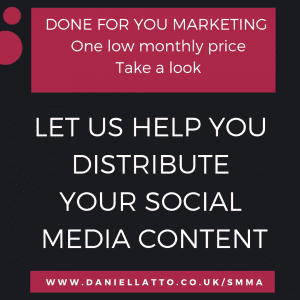 This is where your social media platform and your email marketing comes in, as you well be able to use them to link back to your website and back to these “must-see” special offers. You could offer specific deals available only to those on your mailing list, or on social media pages, encouraging more people to subscribe to them. Make sure you design your discounts so that they are easy to understand, are eye-catching, and, most importantly, that they are desirable. Everyone loves a bargain, don’t you? Customer Correspondence: Finally, correspondence is important. More specifically, quick correspondence is essential. Through your website, make sure that you answer any question put to you and that you engage with your customer base as much as possible. If someone leaves a question on one of your blog posts or in your forum, try to make sure that either you or one of your staff answers those questions. It will make the customer feel taken care of, and will also make them more willing to support your brand, and revisit your website. There will also be more likely to come back with a subsequent question if they feel we are in dialogue with you. If you don’t do this, people can think that your website is perhaps dead, or that you simply don’t care which can really hurt your brand. Getting people to revisit your website is not easy. 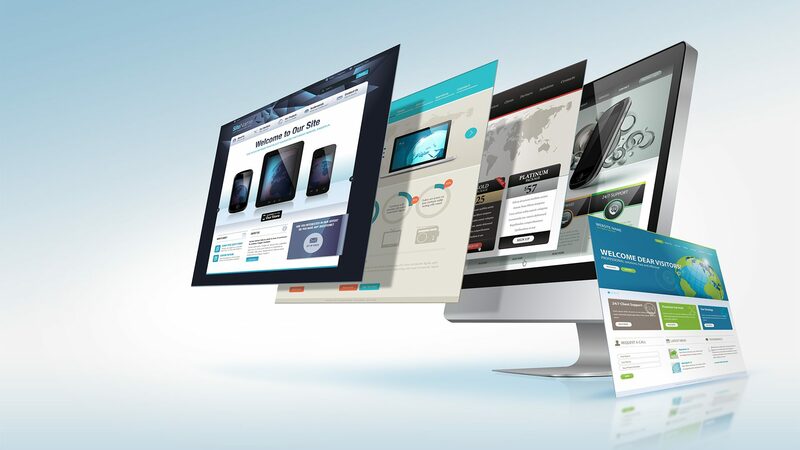 There is so much competition out there, but if you spend some time on your infrastructure, on the design of your website and how you interact with people, and on your social media and other platforms, you can build up a reliable audience which will convert into a substantial number of paying customers. They will return to your website time and time again, increasing the revenue of your business, ensuring that it is in a healthy condition for many years to come.